Rustic farm house located just outside Demopolis, AL. The perfect man cave or family getaway. Whether you are in the area visting or for work, this is the perfect place to unwind. 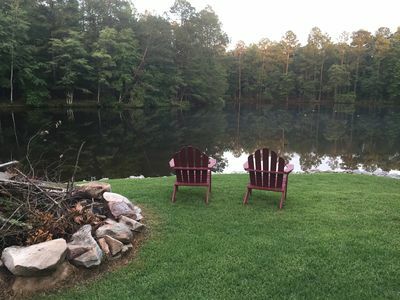 With views of fields of hay and beautiful 17 acre lake in front, enjoy an afternoon on the porch or at the fire pit. If you like to unwind we have fishing packages available for large mouth bass and bream. Just 10 minutes to restaurants and shopping in Demoplis. Or visit the historic homes. Pet friendly with 7 acre field for your pet to exercise. Kennels on property for those with several dogs. Max of 2 dogs inside. Rustic Log Cabin with fishing. Rustic log cabin "Lynns Dream". This cozy log cabin was built from trees harvested on the farm it is sitting on. Hand built by one man with a dream and his best buddies. Lynns Dream cabin is a one room cabin. Complete with a fully functional kitchen and bathroom. Four full size beds will sleep eight people. Fishing is included in the package. Three bass and bream ponds are located on the property. If you want to fish or just get away to a beautiful area of Alabama, please come visit us. Sheets and towles are supplied. The cabin and ponds are located on a dirt road. There may be bumps and mud at times. You are welcome to bring a boat. You must follow the fishing rules. We have a paddle boat for you to enjoy. 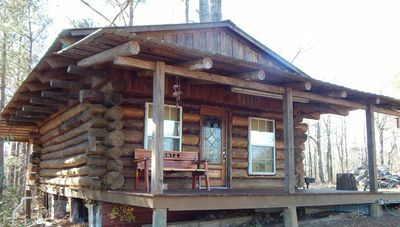 The cabin is about one hour from the Alabama football stadium. 30 minute drive to Marion Military Institute and Judson College. Ten minutes drive to the famous Pie Lab in Greensboro. Newer home with 2700 square feet. Open Concept Floor plan. 2 King Size Beds. 2 Queen Size Beds. The living room and bonus room are big enough to put air mattresses in. Can sleep up to 12 people. 3 Full Bathrooms. Nice level backyard with a covered patio. The living room has a 60" TV and the bonus room has a 50" TV. We are an easy 15 minute drive to Bryant-Denny Stadium. NO smoking and NO pets. Bama Lakeside Retreat! POOLS, LAKE, BOAT,GAMEROOM! Mis. State & Missouri Avail.! 6.9 miles from campus, 4 bedroom, renovated kitchen, great for families. Four-bedroom, 2.5 baths, beds for eight. Located 6.9 miles from campus with convenient highway and interstate access. New flooring throughout, remodeled kitchen and updated bathrooms. Two dining areas. Patio, grills, and large fenced-in backyard. Back porch with outdoor seating is great for morning coffee. Grocery store and restaurants less than a mile away. Wi-fi, cable, x-box and blu-ray player. New home in subdivision just minutes away the interstate. 6 miles direct shot to Bryant Denny Stadium and downtown entertainment including the Tuscaloosa Amphitheater. This house is kid and pet friendly and ready for you to come and enjoy. Floor space for air mattress if needed. Twin bed has a pull out trundle bed underneath! WiFi and steaming available. Grocery stores, theaters, and restaurants within minutes. House is 1400 sq. ft. and has back patio with grill and outdoor fire pit. All you have to do is show up, everything else you need is provided. *There is a bed frame on the way for the room with the mattress on the floor. It will be here and set up before check in. Pet's welcome! Great family neighborhood only a short drive from campus. Their is bed space for 10 including a sleeper sofa. We also have two queen air mattresses that can also be used. We have two dogs for those with allergies. The porch and sunroom add even more room to the already spacious home. The living room includes a 65" tv. The sunroom and master bedroom also include 50" TVs. Modern appliances. Two car garage with plenty of additional parking in the driveway. Please contact me with any specific questions regarding our home. Great for Alabama Football games or University functions. Perfect place for Alabama Football game weekends, University of Alabama functions, or hanging out in Tuscaloosa, Al. The house has covered parking, fenced in back yard, newly remodeled through out. It has a full kitchen with new appliances, hardwood floors throughout, two baths with showers and one tub. Cable can be provided and groceries, transportation to the game, and football tickets can be provided with notice. Your Home away from Home! Call for Special Pricing! Call for Special Pricing! Your Event House. Perfect for any Game Day, Alabama Training Camps, Graduations, Weddings, Move In’s or just visiting plus so much more. A charming mid-century single-story home with beautiful panoramic views . Have an Exciting Weekend in this 5,000 sq. ft. home with an extra-large fenced and gated back yard. 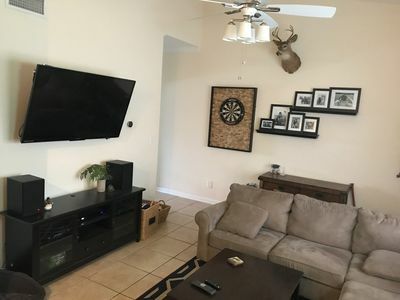 This home includes a large living room with a 60” Sony television, a large game room with a 9' Pool Table, Foosball Table and a 60” Sony television, wet bar w/ ice maker , formal dining room, breakfast nook, indoor glassed in patio with a 44” Sony television, a 600 sq. 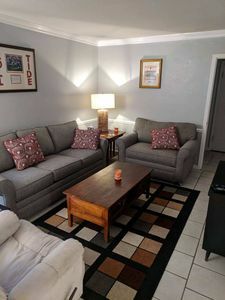 ft. brick outdoor covered patio, fully equipped kitchen, five spacious bedrooms furnished with queen beds, 4.5 bathrooms, laundry room, 2 car enclosed garage with ample parking for 6-8 vehicles outside on a large concrete driveway equipped with a 50AMP plug and water hook-up with room to park your RV. The Master Suite is equipped with a Jetted Tub for your relaxation. The home is uniquely designed to provide privacy: with two bedrooms located on the back wing, 2 bedrooms located in the middle wing and one bedroom in the front wing. We are two miles from campus, 1.5 miles from downtown, around the corner from the Amphitheater. Alabama Charm - Only 1 Mile From The Stadium!! The Alabama Charm is located downtown, 1 mile from the stadium!! ** All special event weekends (Football, Graduation, etc.) have a 90 day NO CANCELLATION Policy! ** ** As of November of 2018, this house has become a 6 bedroom 5 bath house, that has the ability to sleep up to 16 people (including children). ** ** Contact us prior to booking to make sure you are getting an accurate quote and are not being charged for extra people on event weekends. ** ** For standard off-season pricing, the pricing is set for up to 6 people, and ONLY 3 bedrooms downstairs. The upstairs rooms are not included. Futons, with the linens are not provided unless you pay extra or pay for additional people. ** For Event Weekends (Football, UA Graduation, etc.) pricing is set for up to 16 people, and all rooms are included. ** ** Contact us prior to booking to make sure you are getting an accurate quote and are not being charged for extra people on event weekends. ** This beautiful home has been gutted, and fully renovated!! It has a fenced in backyard, so it is also pet friendly! Bring your furry friend to come roll with the Tide, with you! There is even a charcoal grill so you can have your own tail gate in the back yard! 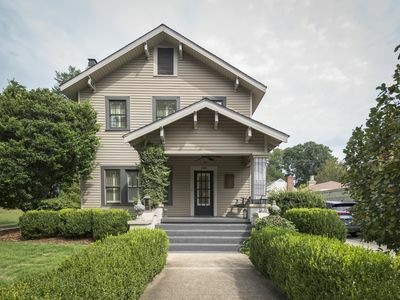 Historic Haven - Walk to Downtown, Campus, & UA Strip! Book for May 2019 Grad.! 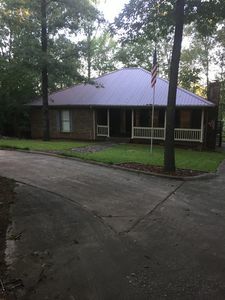 - This Unique home only 0.8 miles SouthWest of Bryant Denny Stadium! - This is a 4 bedroom/4 bath house with 2 kitchens, and 2 living rooms. - Sleeps up to 10 adults, and 2 children (12 people). - 1 Queen, 1 King, 1 Full, 2 Twins, 2 Twin XL airbeds, 1 Queen airbed. ** - Wifi and Cable are included! - There are 2 kitchens in the house, and one of which has a dishwasher. Perfect house for dividing between two families. - This is a pet friendly home ! - Walking distance to Stadium, Downtown, & UA Strip !! - There is one outdoor cat that you may see during your stay, but does not come inside. The convenience of easy access to game day and everything else! If you want the convenience of easy access to Alabama Football Game Day, and everything else Tuscaloosa has to offer, but without the hustle and bustle of being on campus, then this is the place for you! Fully furnished home with tons of amenities, a security system, huge yards, places to relax outside, trolley access to the game, and tons of other amenities. 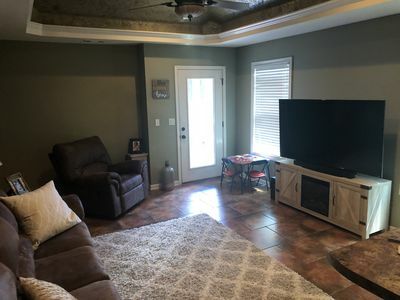 Fireplace, dishwasher, washer and dryer, 2 fully stocked baths, pool table, large fenced in back yard,fire pit, carport, large side and front yards, all new kitchen appliances, all queen sized beds, clean!! 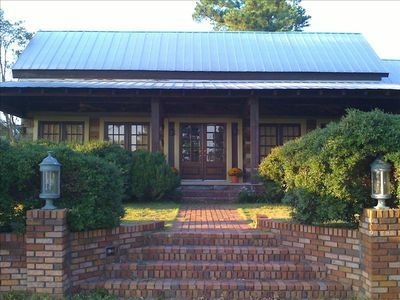 Victory Villa - a Bama B&B Rentals Property! When traveling to The University of Alabama to see friends, family, The Campus or a Crimson Tide sporting event, look no further, this is the place for you!! 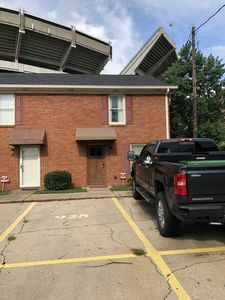 Enjoy the view of the stadium from a top floor private balcony located at The Houndstooth Condominiums adjacent to the campus and only 1/4 mile from Bryant- Denny Stadium, you can enjoy everything the University has to offer, close enough to walk, but far enough away to quietly sleeps 6. 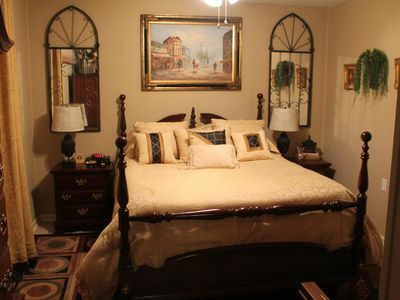 This 2 bedroom 2 full bath features 2 queen beds, a queen and twin sleeper sofa. This condo also includes granite counter tops, hardwood floors, tile kitchen and baths, 9' ceilings with full kitchen. Featuring brand new furniture, a 50 and 60" HD TV, Washer and Dryer and Free WIFI. 24-hour access to the clubhouse with a business center, fitness center, tanning bed, clubroom, pool, and fireside lounge and grill all for you to enjoy at your leisure. Secure parking available for 2 cars. ROLL TIDE! Bama Condo only a Half Mile from Campus and Bryant Denny Stadium!! 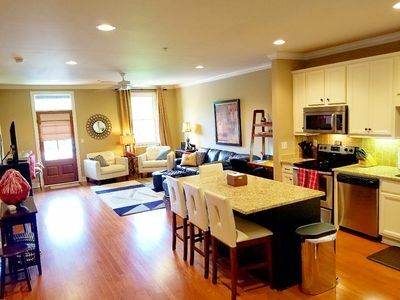 This unit is walking distance to Bryant Denny, Coleman Coliseum and main campus! Gated complex that is perfect for games or parent visits. The master bedroom has a king bed and the second bedroom is furnished with a queen bed and a full on bottom/single top bunk bed. Free wifi and all TVs are 4K Ultra High Definition Smart TVs. Once confirmed, we will email a welcome letter a few weeks before your stay that has information on how to access our unit and few other things you may want or need to know. 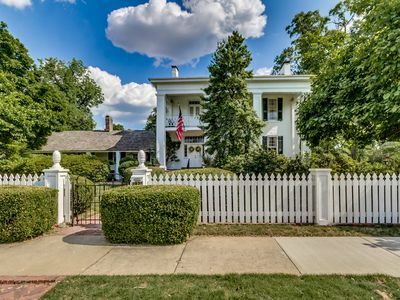 Beautiful Antebellum home built in 1822. The house was listed in the Historic American Buildings survey in 1934, the first Tuscaloosa home to earn this distinction. This house is vital to American and local history because of the many prominent inhabitants of the home over the centuries. The house was originally built by James Jenkins in 1822 as a two-room cabin. David Scott, a prominent merchant and church leader, added on to the house in 1832. From there the Burwell Boykin Lewis family occupied the residence from 1886. The president of the University of Alabama’s daughter and widow of a U.S. Congressman lived in the house until the turn of the century. 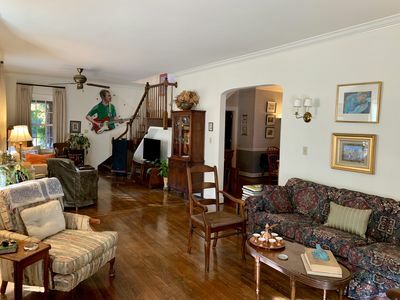 This is a roomy comfortable 4 bedroom, 2 bath home which includes a formal dining room, updated kitchen, family room, sunroom, and formal parlor. The finished basement is a unique space with a walk-in fireplace, bar and TV room. The 3rd-floor bedroom runs the length of the top floor. There are two full bathrooms. The house is furnished with period antiques and soft upholstered pieces. There are awesome large outdoor porches and a big yard for entertaining. This home is perfect for a family or larger group. There are 3 large flat screen TV’s, WiFi and a completely fenced yard. Beautifully finished 2 bedroom 2 bath game day condo. All stainless appliances and the best rooftop tailgate terrace in Tuscaloosa. Also perfect for parents who have children camping at the University of Alabama. 2 bedroom/2 bathroom , 2 blocks from everything Tuscaloosa! Walking distance to the University and all other campus activities! Newly remodeled 2 bedroom/ 2 bath condo, granite countertops, ceramic tile floors, stainless steel appliances, including washer and dryer. Conveniently located near the stadium, downtown, restaurants and more. Once you arrive there is no need for a car to get around. With rental, 2 parking spots are provided for your convenience. Private and secure access to the stairs and elevator for the entire complex. Antebellum Homes Just Blocks From UA Stadium. This is a roomy comfortable 4 bedroom, 2 bath home which includes a formal dining room, updated kitchen, family room, sunroom, and formal parlor. The finished basement is a unique space with a walk-in fireplace, bar and TV room. The 3rd-floor bedroom runs the length of the top floor. There are two full bathrooms. The house is furnished with period antiques and soft upholstered pieces. There are awesome large outdoor porches and a big yard for entertaining. This home is perfect for a family or larger group. There are 3 large flat screen TV’s, WiFi and a completely fenced yard. 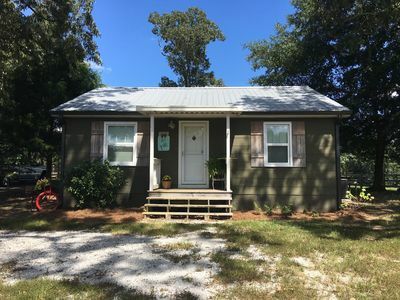 T-Town Cottage - Book for May Graduation and 2019 Football Season! 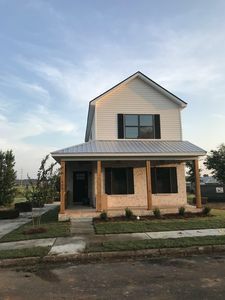 - This is a brand-new, 3 bedroom (K, K, Q, T, T) 2.5 bath home. - Sleeps up to 8 people! 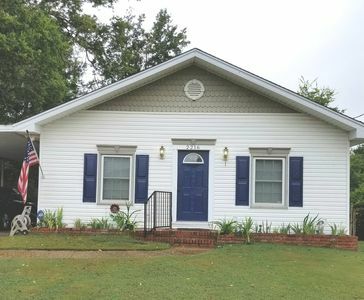 - This house is 2.7 miles North of Bryant Denny Stadium in Historic Downtown Northport! - There is a beautiful front porch with rocking chairs, as well as a large backyard with gas grill and patio furniture! - Pet friendly house! - You will have access to WiFi and Cable TV! - This home sits just around the corner from Billy's Restaurant on Main Street in old downtown Northport. You can catch a free shuttle to the game right in front of Billy's - so no parking fees for this football game weekend! 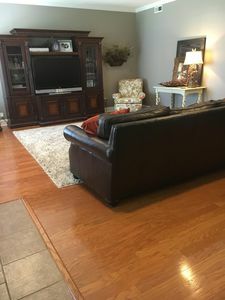 Attn UA Parents: 3BR, 2BA, minutes from campus. Perfect weekend getaway. 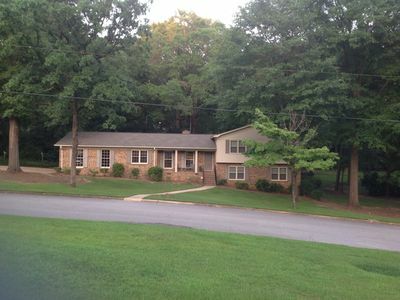 The Northport House is located five minutes from the University of Alabama Campus. This one of a kind home has three bedrooms, two bathrooms and sleeps up to eight guests. This home is a day rental, meaning no one lives there, except folks like you that get to enjoy it for a few days at a time. Every attention to detail has gone into the remodel of this house. You can walk in and it will be as if you are in your own home, with everything you need, feeling cozy, and wishing your stay was longer. 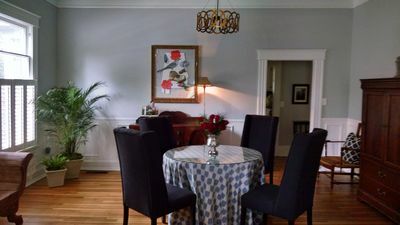 Located just blocks from historic downtown Northport, Alabama, The Northport House is the perfect home for guests who their want privacy and space. 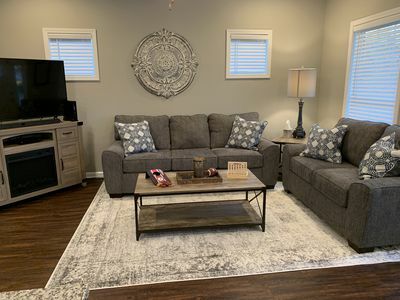 The Northport House has been completely remodeled and features an open floor plan with plenty of space for guests to relax. Big, flat screen TV's are in every room. The huge master suite includes a private bathroom, with a custom claw dfoot tub and shower. The guest bathroom has a double vanity, tub/shower, Big, fluffy towels await you. There is a fenced back yard, but I can't guarantee your dog won't escape if left unattended. The kitchen is fully stocked with dishes, cookware, silverware, glasses, dish towels, trash bags, and basics for cooking (salt, pepper, garlic salt, etc). Refinished original hardwood floors and new tile throughout the home. Every guest that has rented this house has been 100% satisfied. They loved it, and you will too! Master Bedroom - King Size bed Guest Bedroom One - Queen size tempurpedic, adjustable bed Guest Bedroom Two - Two full size beds This home is offered on a daily rental only. Rates discounted for rest of winter! (Non home game dates) Inquire about discounts No Cleaning Fees! No Manager Fees! My other properties may have more availability and some have long term lease availability! Ask me for info about special rates for low seasons and longer stays!! Ask me about availability for my other properties as well. Long term leases available as well. Low Off-Season Rates! Click on email owner or contact owner! Next Few Months Low Rates ~ Univ of AL Very Close ~ Campus Visit Don't stay in a crowded hotel room! Even "suites" don't have this much room, and rarely have TWO BATHROOMS! This condo and one of my other condos likely has availability, so please contact me! Click on Email Owner or Contact Owner and indicate flexible dates and then ask about your dates. Look at my other condo for other dates ~ and LOW rates rest of the month!!! Same floor plan! Same size! VRBO listing: 701629 Also have a 3rd condo: VRBO listing: 651756 NO CLEANING FEE ~ SO EXTRA SAVINGS! Questions? please click on Email Owner or Contact Owner for more info!!! All of my condos have 2 bedrooms and 2 bathrooms, so nice and roomy. They can sleep up to 6-8 people, depending on the condo. They have a washer and dryer in the condo and have a fully-equipped kitchen. All linens are provided. I always answer promptly so if you don't get a quick response, check your SPAM folder, please or email me again. NO Cleaning fees! (this makes our condos a bargain compared to others!) Booking NOW for Campus Visits, Sports Camps, ABT Theater and 2018 Football Season! Currently taking reservations for American Ballet Theater Summer Intensive families! Special rates for that 3 week stay! Special Rates for Campus Visit guests! Inquire! Booking NOW for the 2018 Football Season. Don't delay! Lodging Venues will booking early! Several games are already booked for each condo! The default rate shown is for non-event times. Football Weekends and other special events have different rates. See below for football weekend rates*** ** 2 Night Minimum, but some premium times may have a 3+ night minimum. ABT Theatre rate has a 21 night minimum. Credit Cards, eChecks, Debit Cards accepted. eCheck preferred! ** SEE BELOW for rates, including Football Weekend rates. If a Guest requests a cancellation Owner will make a “best effort” to re-rent the property. If the Owner is able to successfully re-rent the entire reserved period for the same rate, the Owner will refund the total rental payment less a $100 servicing fee ($200 for football weekends). All three condos are FIRST FLOOR UNITS! Family Friendly! Beautiful! Close-to-door parking! Brand new carpet and lovely wood and tile floors. 2 Bedrooms, 2 Full Bathrooms. Sleeps 7 in beds plus 1 in a fold-out bed. 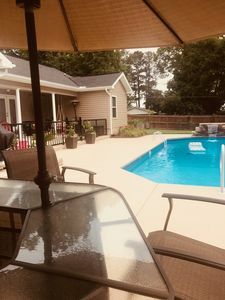 Located in the Gated-Community of luxurious University Downs, so it's close to everything - U Alabama, Midtown Village, The Strip, Downtown, Black Warrior River, the new Tuscaloosa Outdoor Amphitheater, Lake Tuscaloosa, and more! Fabulous 8,000 sq ft Clubhouse with 2 Swimming Pools, Pool Table, Game Room, Multi-media room, Business Center, Well-equipped Fitness Center, Tanning Beds, and MORE!. Tastefully decorated! Wood, new carpet, and tile floors. Kitchen: Fully Equipped. 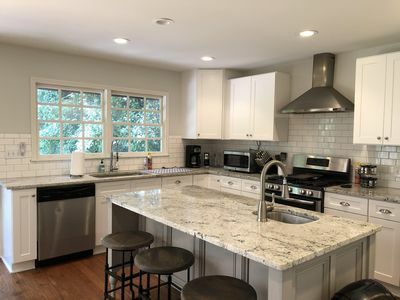 Granite countertops, stainless steel appliances (DW, Fridge, Stove, Microwave), many small appliances (Drip coffee maker, Keurig coffee maker, toaster oven, elec hand mixer, rice cooker, crock pot), dinnerware, flatware, glasses, cookware/bakeware, kitchen gadgets, spices, etc. Check out our pantry before going shopping. Dining area table/chairs and bar stool area Master Bedroom: Queen size bed with new mattress. Fully furnished. Flat screen TV with Comcast . Secondary Bedroom: twin-over-full bunk beds, and twin over twin bunk beds. Also, a fold-out bed. All new bedding/mattresses. Walk-in Closet. Flat screen TV with Comcast programming. Living room: 2 couches, coffee table, side table, huge 55' flat screen TV, DVD player. DirecTV with DVR in Condo B. Comcast with DVR in Condo A and Condo C Free WiFi in all condos. Washer and Dryer in all condos Small patio with dining set. Free Parking. Plenty of parking spaces. Check in: 4:00 pm Check out: 11:00 am (Check In and Check Out times may be negotiated if calendar permits.) *** SEE RATES BELOW for Football Weekends, Misc Special Event Weekends, and Non-Event Nights. Many Special Event dates are still available, but are booking FAST! Payment plans! Reserve early with $100 payment, remaining balance split into two later payments. FAQ: Why does the number of people staying at your condo affect the rates? ~ The number of people, including children, affect the rate because there is added use of sheets, bedding, utilities, and additional wear and tear to the property. The housekeeper must spend more time cleaning, sanitizing, laundering, folding towels, and remaking beds after a larger group's departure. Why are special event dates, such as football weekends, charged a premium rate? ~ Short-term and Game day rentals are vacant for much of the year. There would be no Short-term or Game Day rentals if the rates for popular events were modest. Why is Check-in late in the afternoon? ~ There are times when guests have checked-out in the morning, and therefore the housekeeper comes in after to prepare the home for you. Sometimes an earlier Check-in can be agreed to, but only if the Owner agrees in writing after she has checked with the housekeeper's schedule. We won't be arriving until late in the evening, is that ok? ~ Yes, there are provisions for those who must arrive late at night. BAMA BOUND PARENTS!!! Don't sleep in DORM twin beds in SEPARATE rooms with no TVs when you can stay in this lovely condo with 3 TVs with full programming? STAY IN COMFORT! PERFECT PLACE TO STAY FOR ANY ALABAMA VISIT! 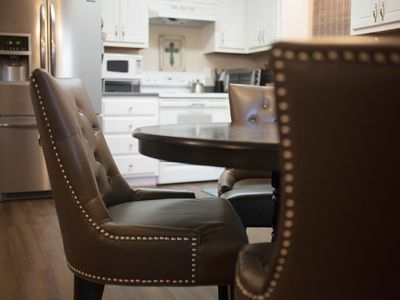 This condo is ALABAMA, right down to the hounds tooth chairs. Close to Bryant Denny Stadium and the University of Alabama. You can walk to the stadium (5 blocks), to the Quad (8 blocks) or the Strip (3 blocks). This 2 bedroom suite condo sleeps 6 and each bedroom has a private bath in the suite. Additionally, a hide-a-bed is located in the den for extra sleeping space It has a fully furnished kitchen with granite counter tops. A washer/dryer is also provided for your convenience. A private deck is equipped with a charcoal grill. 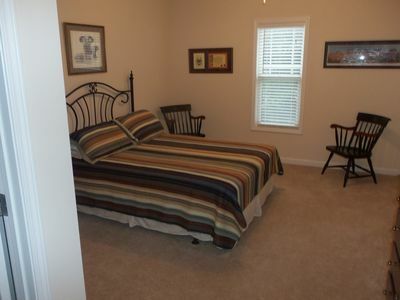 Of course an HDTV and over 200 cable channels is available as well as a smaller TV in the master bedroom. WIFI is also provided. Covered parking and security entrances provide an extra benefit. Convenient To Everything Tuscaloosa Has To Offer! Recently renovated historic home has endless designer details all wrapped up in a 2 bedroom, 1.5 bath house, set up to sleep 8. Stay in luxurious, stylish comfort within walking distance to downtown, the University of Alabama, the Black Warrior Riverfront, Tuscaloosa Amphitheater and more! Beautiful outdoor areas provides the ultimate entertaining space, and circular driveway provides plenty of parking. 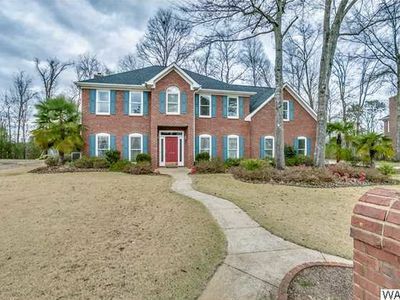 Walking distance to Alabama football stadium! 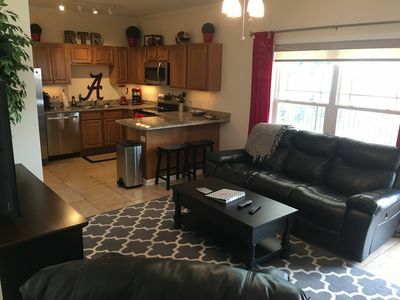 This apartment is located in walking distance to the Alabama Football Stadium. It has been completely renovated from top to bottom. It has all brand-new stainless steel appliances along with granite counter-tops in the kitchen and in all of the bathrooms. It has brand new wood floors throughout the apartment. There is a back patio that has plenty of sitting along with a grill which is great for tailgate parties. Walking distance to the University and all other campus activities! 2 bedroom/ 2 bathroom condo with granite countertops, ceramic tile floors, Stainless steel appliances and washer/dryer in unit. Conveniently located near the stadium, downtown, restaurants and more. Once you arrive there is no need for your car to get around. With the rental, 2 parking spots are provided for your convenience. Private and secure access to stairs and elevator for the entire complex. We are located in the Woodland Hills subdivision less than 5 miles from Bryant Denny Stadium. Our house overlooks the Veterans Affairs Campus that features a public jogging/walking track. The track winds through to the University of Alabama's Arboretum. There is a corner gas station/store less than a half mile away. The home features two bedrooms both with queen beds, two living rooms with TVs and a huge deck with screened porch also with a TV. Expanded cable package and free high speed internet throughout the house. STR License #118410 2 bedroom / 2 bath condo / 2 reserved parking spots. Fully furnished and equipped. Second story with balcony overlooking the strip! 3 blocks from the football stadium and 5 blocks from downtown. Many restaurants and lounges within blocks. Located above Smoothie King and next to Waffle House. Community courtyard. Coffee, tea and condiments provided. Washer/dryer in unit. 1 BA newly renovated guest house with private drive. The Bama Bear Den is close to the UA and is located adjacent to PAUL "BEAR" BRYANT'S home in the 60's and early 70's. Bama Bear Den is located in a quite neighborhood close to the University of Alabama and all shopping needs. This one bedroom, one bath guest house sleeps 4 . Master bedroom has a queen size bed with pillowtop mattress along with a 32' high definition flat screen TV. The den has a sofa and 2 wing back chairs and 48" high definition flat screen TV. The living room has a trundle bed (2 single beds, with a pillow top mattress) that can sleep 2 people. It has a fully equipped kitchen with eating area with table that seats 4 people. Bedroom is fully furnished, cable TV. The bathroom has complimentary soap, blow dryer, toiletries and linens for your use along with a washer and dryer. DVD player and free WI-FI for your enjoyment. Outside of quarters is a covered front porch, plenty of seating, & BBQ grill. Plenty of parking available. We are located 1.5 miles to Game Day Shuttle Stop located at The University Mall. Free Parking at the University Mall. Shuttle runs from mall parking lot to the south end zone of Bryant Denny Stadium. Shuttle cost is $10/person round trip. 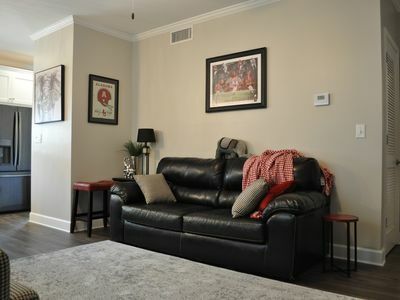 This Game Day rental has been recently renovated and offered for the first time for the 2012 Alabama football season. Rental property also available throughout the year. Sleeps 5 but there is room for an air mattress or two if you would like to bring them along. First you have to walk down the stairs to the front and dining area doors. The back doors open to a patio and court yard. Pleasant setting on Jack Warner Parkway with the beautiful Black Warrior River, Park and Walking paths. 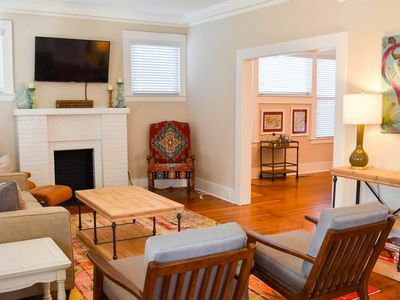 Twenty-minute walk to the stadium and to downtown Tuscaloosa and neighborhood restaurants. Bed Room has a queen bed. Living room has a brand new queen sleeper sofa and twin sleeper chair. At&T wifi and TV. Flat screen TV in living room. 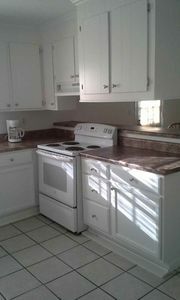 Fully stocked kitchen with all new pots, pans, coffee pot, dishes. Stacked washer and dryer unit. Complimentary coffee in case you have a late night arrival and don't have time to stop. Ample parking at condo complex. Leave your car and enjoy everything on foot. This house is PERFECT for anything and everything U of A! 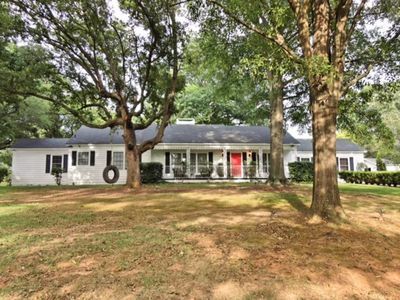 Less than 5 minutes from downtown Tuscaloosa, this house is also walking distance to downtown Northport - a charming and walkable district with shops and restaurants and, of course, Billy's Sports Bar and Grill! Downtown Northport is home to art galleries and festivals such as the Kentuck Art Festival (3rd Saturday and Sunday in October) and the Dickens Downtown (the 1st Tuesday in December). The house has 3 bedrooms with new, hotel quality bedding. There are 2 bathrooms and 2 A/C units, one downstairs and one upstairs that are new. Family room has a new corner couch that sits all your friends and family for a football and a 55" TV to watch it on! Dining room seats up to 10 and nook table seats 6. Kitchen is fully stocked and backyard hosts a gorgeous patio with 2 tables (one high top for 2 and 1 regular for 4) and BBQ. There is a guest cottage in backyard that has it's own entrance and driveway. Bathrooms have been fully remodeled. Finished March 2019. 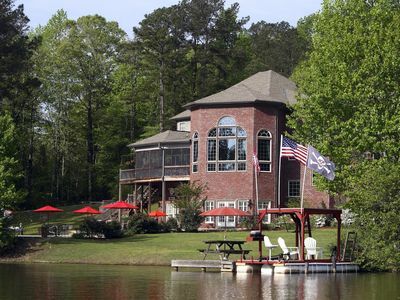 LUXURY ON THE BANKS OF THE BLACK WARRIOR RIVER!!!!! RiverWalk Place is a great destination for gamedays -- or any time! 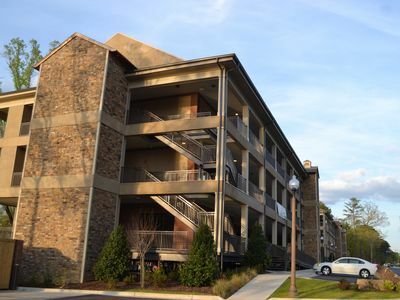 This high-end condominium development is located in the middle of a park system with walking trails that stretch a total of 3 miles along the Black Warrior River. It’s within a reasonable walking distance (and an easy ride) from the University of Alabama, Bryant-Denny Stadium, the Tuscaloosa Amphitheater and downtown Tuscaloosa. Plus, Tuscaloosa now has Uber for added convenience. 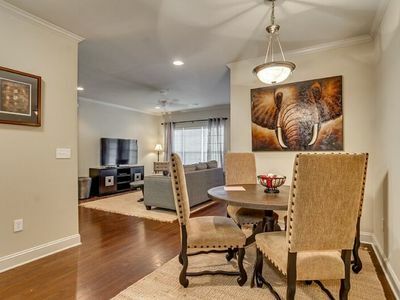 Here are a few things about our condo that make it distinctive: • Spacious with 1425 sq ft and 10-foot ceilings, plus a big 350 sq ft covered balcony as added living area overlooking the scenic Black Warrior River. • Master bedroom with king, second bedroom with queen plus a multi-purpose room with the privacy of a bedroom with foldout that also can serve as an office, and/or dining room. • State-of-the-art open kitchen with granite countertops. • Amenities include two gas fireplaces, oriental rugs and fine art decor. • Huge, beautiful master bath with garden tub and separate shower. • Second bath with granite and decorator tile throughout. • Two walk-in closets and plenty of additional closet and storage space. • Wi-fi, U-verse, and four television sets. • Washer and dryer. • Top-floor (3rd) unit with resident-only elevator. 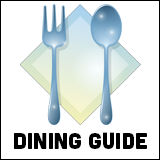 • Another Broken Egg, Tuscaloosa’s best known breakfast restaurant, and the very popular River restaurant are both on site. • With two fold-outs, capable of sleeping 6 people comfortably. 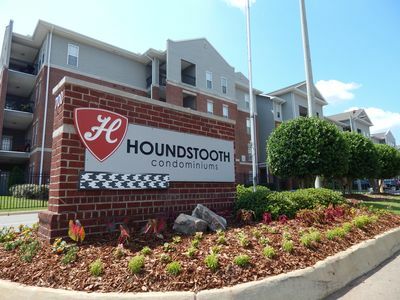 Our Tuscaloosa newly built home is just 9 miles from Bryant-Denny stadium! Our 2 bedroom 2 bathroom home is located in a beautiful quiet neighborhood just minutes from campus! Our large open floorplan is great for hangouts, modern kitchen with bar seating, music/office room, roomy backyard, outside covered patio with gas grill, laundry room, wifi and more! The house is conveniently located close to shopping, dining, & groceries! We have a beautiful outdoor living space plus pool which provides the ultimate entertaining space! Great place to relax before the big game! Why stay in a hotel when you can have the perfect spot to enjoy Alabama football, graduations, or any other events located in T-town? Book now for the 2018 football season!! Newly remodeled 3 Bedroom 1 bathroom house. Just off University BLVD, 5 miles from Bryant Denny Stadium. One mile from interstate 20/59. Great for Gameday! Sleeps 6. One queen bed and two full beds. Large fenced in back yard, Pets welcome. 48" HDTV in the living room with Comcast X-finity and free Wifi. Beautiful new kitchen with a brand new 25' stainless steel refrigerator. 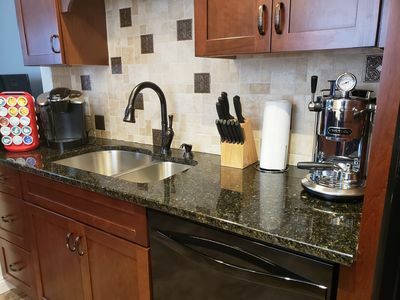 Kitchen also has some small appliances to make your stay more enjoyable; Toaster, coffee maker, electric can opener. There is a one car, carport with a washer and dryer in the detached utility room. The back bedroom has french doors that open up into a Sunroom with a couch, two chairs and coffee table. Tuscaloosa AL 2 br 1 bath rental for gameday/special events. 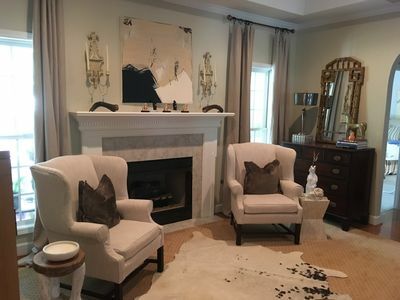 Newly renovated Guest House for rent on Country Estate in Tuscaloosa, AL. 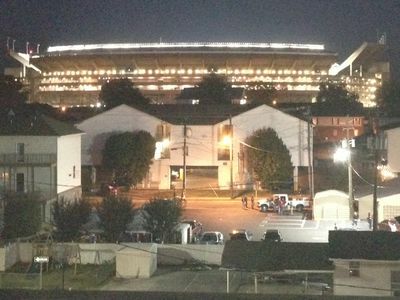 A short fourteen minute drive to the University Alabama and Bryant Denny Stadium. So come enjoy the country setting with horses and a pond for fishing. Master with king bed and another with 2 single beds. Two reclining sofas as well. $400 for Friday and Saturday nights plus cleaning fee. Early check in and late check out can be arranged. Small dogs are welcome with $100 pet fee. 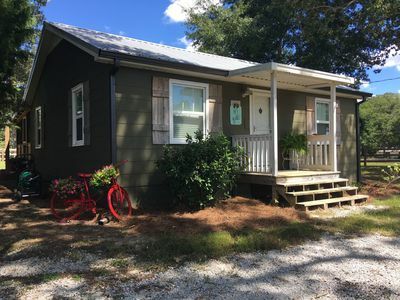 Lovely two bedroom cottage located in a rural setting but only a few miles from the city of Tuscaloosa and the University of Alabama. 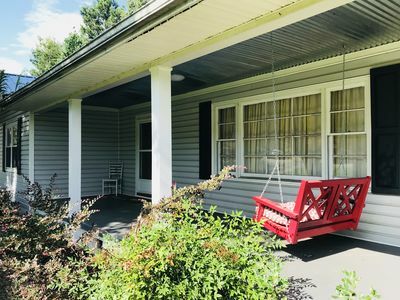 Enjoy relaxing on the large screen porch watching the horses and other farm animals. Try your luck fishing in the pond for Bass or just sit by the water and meditate. In the warm months, bring your swim suit and enjoy the pool at the main house or in the fall gather pecans for your trip back home. Traveling with horses? Stay at the cottage and turn your horses out in the pasture. You may rent from 1-3 rooms. 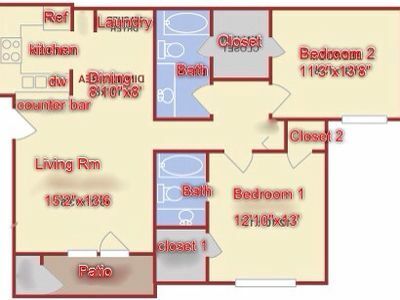 RATE IS PER BEDROOM 2 ADULTS!!! ALL ROOMS AVAILABLE It is a shared space with owner. There are 2 separate bedrooms upstairs with a full bath. Downstairs we have 1500 sq ft of finished room with a bedroom and full bath and area for private TV. WIFI is included and you will have full access to laundry facility and access to full kitchen. 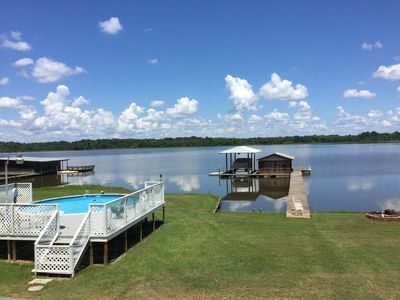 We are located on 1 acre with a large deck out back over looking an 18 acre lake. Our home is located just north of the river. Minutes from campus and Bryant Denny Stadium. 4 bedrooms and 2 baths with an awesome open kitchen den setup with door to the covered deck. Master Bath has a King, 19inch tv, master bath including stand up shower and jacuzzi tub. 2nd bedroom has a queen size bed and 32inch tv, 3rd bedroom has a full size LOFT bed (suitable for teens and children)and 32 inch tv, and the 4th bedroom has two twin size beds. Hall bath has two vanities and shower tub combo. The Kitchen is completely open to den with 46 inch TV viewable from entire room. GREAT for entertaining. Gas cooktop. Three counter height stools. Leather couch and two chairs. Wood burning fireplace. The backdoor opens to the covered deck that has a dining table, propane fire pit, two chaise lounges, another 46" tv, two chairs and a couch. ceiling fans will help keep you cool while grilling for the game. Standard dining room with table to seat 6. House sits on a great corner lot in a lively neighborhood full of football fans. Adirondack chairs, benches and swing in yard. zipline, tire swing and playset for the kids too! New listing! Close to U Of A campus! 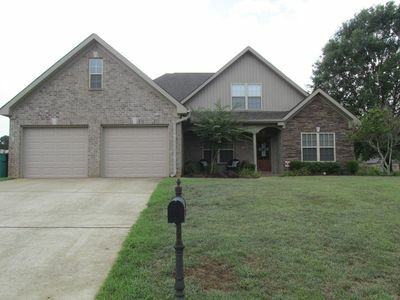 This 4 bedroom/3 bath home is perfect for a family or friends weekend in Tuscaloosa. Located minutes from downtown restaurants and campus, this home will not disappoint! If the hustle and bustle of the downtown area crowds is too much for you, enjoy grilling out on the patio at home! 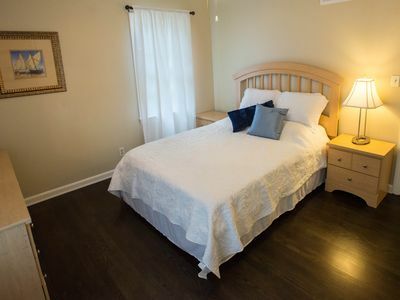 Bigger and more private than a hotel room, you can enjoy your stay in town at our home in a quiet and safe neighborhood, just MINUTES from campus!! Great House for Game days and Graduation! 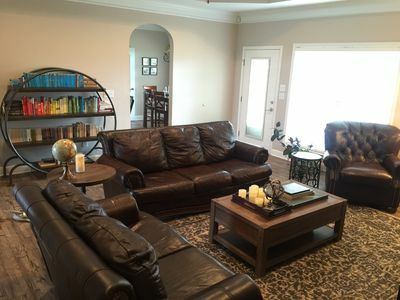 This private home is located in a lovely neighborhood just 4 miles from Bryant Denny Stadium. There are 3 bedrooms, 2 full updated bathrooms, large den and dining room, updated kitchen, sun room, and outside patio. The house is located close to campus, shopping, groceries and easily accessible from the interstate. Why stay in a hotel when you can have the perfect spot to enjoy Alabama football, graduations, or any other events located in Tuscaloosa. *All special event weekends (Football, Graduation, etc.) have a 90 day NO CANCELLATION Policy! 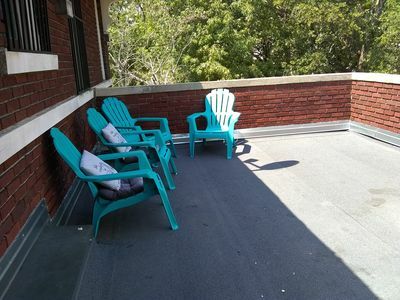 Beautiful extra large 1 and 1/2 bedroom walk up Apt. Bedroom with queen bed and large couch with 32in LED TV. Large living/ dining room with couch, daybed and trundle bed and 32in. LED TV. 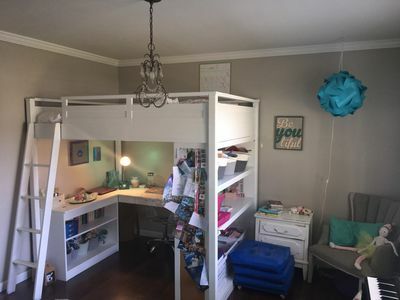 Half bedroom with full size bed great for kids or someone not needing too much privacy (room is off of kitchen). 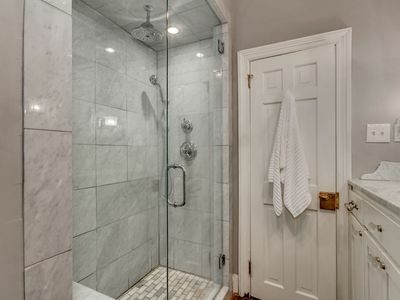 Large bathroom with claw foot tub and shower. Private patio with grill. All utensils furnished just bring your own food. Linens and towels provided. Located across the street from Sturdivant Hall Museum. Located in Old town Selma. 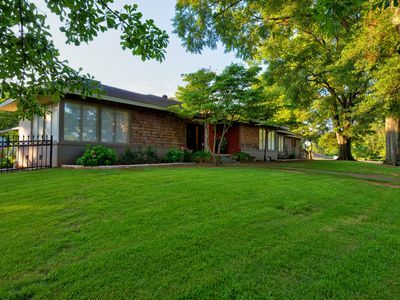 Within walking distance to local shops and eateries and the Edmond Pettus Bridge and the River Walk park. *****NOTE***** THE days in PINK on calendar are ALREADY booked thru another site. Quaint waterfront house with Gambrel-style roof on gently sloping lot. Includes pave stone fire pit at the water's edge. Two newly renovated bathrooms and just completed a new deck that wraps around 3 sides of the house. 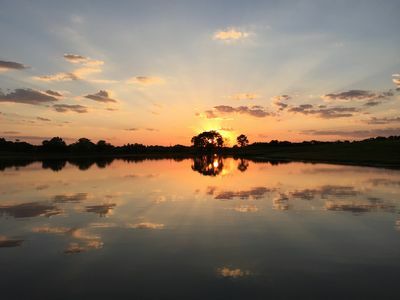 Enjoy the beautiful sunrises over Lake Dannelly with even more stunning sunsets over the house. Great value for waterfront living. Two boat houses, each with a lift. I have two kayaks available for use at that is included in the rate. 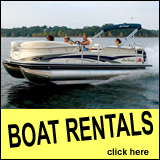 If you would like to use the Pontoon boat or Wave runner (we have 3) Please contact me in advance for information on rates. Camp out at Lake Lurleen State Park for Game Day weekends. This gorgeous state park has a lake for swimming/fishing and many hiking trails. You will be staying in a 2017 - 32 foot Summerland camper by Keystone. The travel trailer has one queen bed with privacy, two full bunk beds, the table makes into a full bed, and couch is a sleeper sofa. Sleeps 6 comfortably but can sleep up to 8. 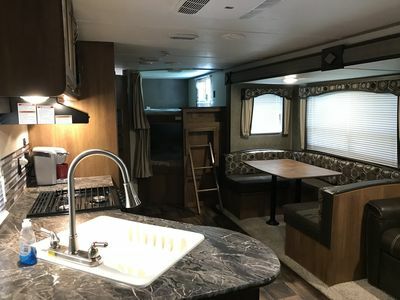 Sumerland travel trailer has a full kitchen with all amenities and full bath with tub and shower combo. This is the perfect getaway for rest and relaxation after the big game.